If you have any questions regarding our products or capabilities, or want to talk to a company representative about what we can build for you, please contact us. We have people standing by to help you create the field you want. Matt Riggs was hired in 2006 by TenCate straight out of college into the position of Management Trainee. In this position Matt worked in every stage of fiber production. Matt also spent several months working in the management side of production as well as in the Research and Development department eventually ending in sales. 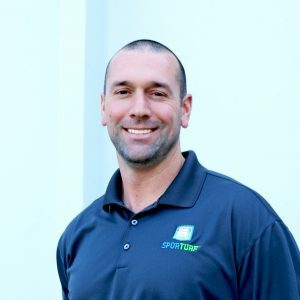 Matt held the position of Senior Account Manager for 4 years where his duties included technical presentations to architects and keeping turf companies up to date with the newest technology and product information. Matt also spent a lot of time inspecting and studying synthetic turf fields. During his years with TenCate he inspected over 225 fields across the United States and Canada gaining extensive real world turf knowledge. Matt earned his Bachelor of Arts in Business Administration from Tusculum College whileplaying football and baseball. Matt completed 1 year of his Masters in Organizational Management before taking the job with TenCate. Dustin grew up a military child, born in Stuttgart, Germany. He traveled the world growing up and ended up attending high school in Waynesville, MO. After graduation, Dustin attended College of the Ozarks for four years in Branson, MO where he received his B.S. in Business Management. Post graduation he made his way to Kansas City, MO and decided to pursue a career in professional baseball. He played a few years in the American Association with several teams, and even made his way to Australia and Canada to play and was eventually signed by the Arizona Diamondbacks. Post baseball, he went back to Kansas City and decided to pursue a career with Enterprise Rent- A- Car. He worked with Enterprise as a Branch Manager for two years and had his own branch in Stanley, KS. 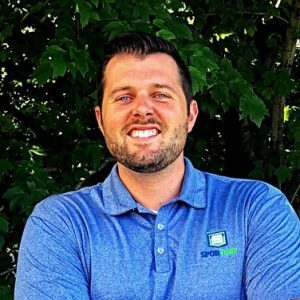 Dustin is now the Midwest Account Manager for Sporturf. 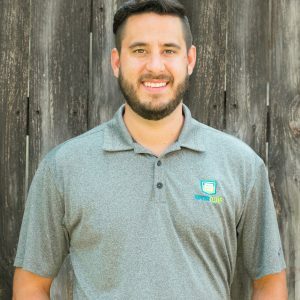 As Midwest Regional Manager Dustin will be responsible for growing and managing the indoor and outdoor field dealer networks in the Midwestern states, while working with the A&E community as well as meeting with end users. Hunter is based out of Baton Rouge, Louisiana and attended Louisiana Tech University and graduated with a degree in Marketing Management. His territories include Mississippi, Louisiana, Texas, Arkansas & Oklahoma. After graduation, Hunter moved back to South Louisiana to accept a job with Precision Chemical & Equipment as their Gulf Coast Area Sales Representative. In this position Hunter covered Louisiana, Mississippi, Alabama, & Florida. Hunter later accepted the position of Domestic Regional Sales Manager for Hunter Equipment Company. Hunter Equipment Company specialized in Mechanical & Process Equipment such as Pumps, Valves, Hydro-Cyclones, Agitators, & other slurry material handling equipment. As Gulf Coast Regional Manager Hunter will be responsible for growing and managing the indoor and outdoor field dealer networks in the Gulf Coast, while working with the A&E community as well as meeting with end users. 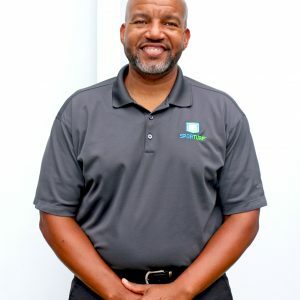 As Southeastern Regional Manager Demond will be responsible for growing and managing the indoor and outdoor field dealer networks in the southeastern states while working with the A&E community as well as meeting with end users. Demond grew up in Dalton, GA and attended Georgia State and University of Phoenix earning his B.B.A. in Management. His past work experience includes 12 years at Southeastern as Front Line Leader and almost two years at Enterprise as an Assistant Branch Manager. 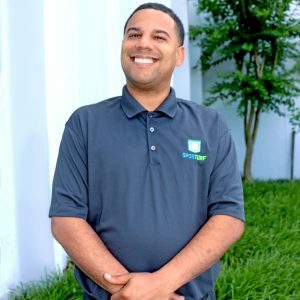 Demond initially joined Sporturf in June of 2017 as our Lead Generation Coordinator and has shown incredible drive and determination to promote Sporturf™ as a brand and company. He resides in Georgia with his wife Brandi and children Mayson and Madison. 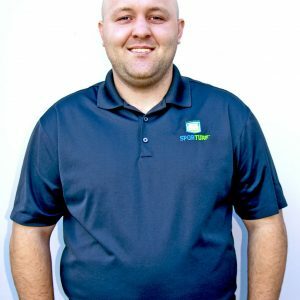 Mac Clark is Sporturf’s Northwest Regional Manager is based out of Washington and attended Central Washington University and graduated with a degree in Public Relations. During college Clark landed an internship with the Yakima Valley Pippins and helped launch the most successful West Coast League franchise in league history. He finished as the Operations Manager with the Pippins and then pursued a career in sporting goods industry in Lids Team Sports, BSN Sports, and most Recently Mizuno. He is excited to grow the Sporturf brand in the Northwest. As Northwestern Regional Manager Broc will be responsible for growing and managing the indoor and outdoor field dealer networks in the Northwestern states and Canada, while working with the A&E community as well as meeting with end users. Greg Holloway is originally from Texas but has resided in California for 22 years. He spent eight years in the Marines and decided to stay on the West Coast after an honorable discharge. He has 17 years of landscape and irrigation experience and four years of synthetic turf experience. Greg’s landscape and turf experience allows Sporturf to better serve our West Coast clients. Greg holds the role of Southwestern Regional Sales Manager and is responsible for indoor and outdoor field sales in the 14 western states growing not only the brand but the dealer network as well.